I’m a free style dancer. I’ve been dancing all my life but no one’s ever taught me to dance. I dance by myself to the music I feel and abandon my body to the rhythm. I’m not bragging. I know I can dance and I dance very well. When I go to parties or clubs, I hardly sit down – I’ve been known to dance all night! 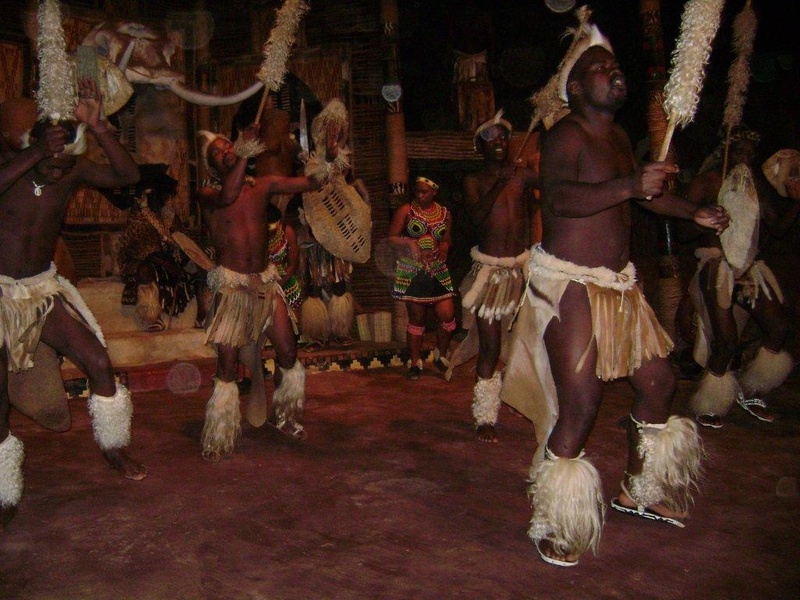 So as I sat enjoying the Zulu (mostly) men doing their powerful stick dance, I was content and focused on watching and photographing their moves. 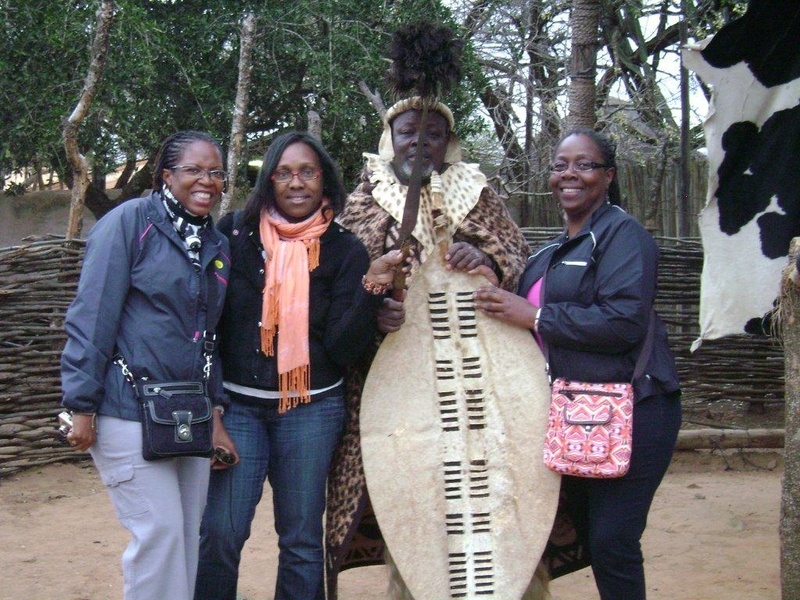 That is until Smagna, our Zulu tour guide, called for a male and female volunteer to join the dance from the small group of visitors at the evening’s festivities. 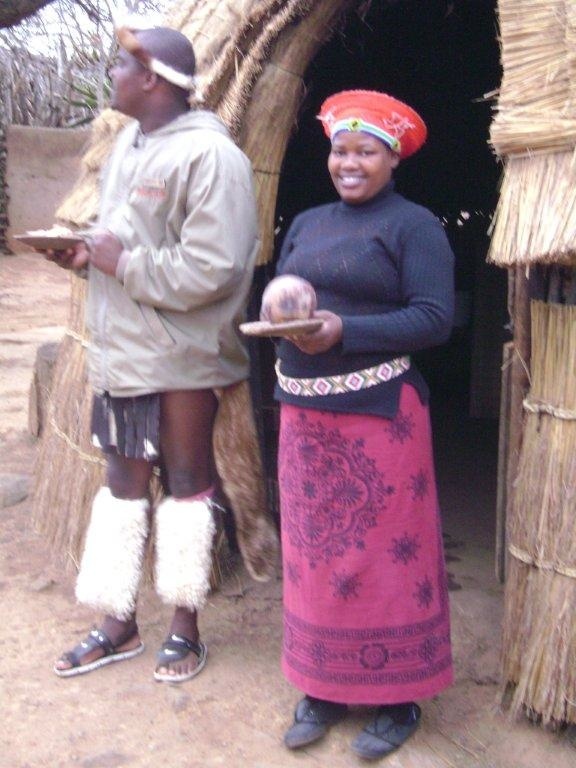 After he picked the male from the ‘male’ side of the hut and looked in our direction, I knew. He walked right over, stood in front of me and stretched out his hand. It wasn’t a very complicated dance routine. We did a few practice moves -step, step, step, STOMP! Step, STOMP! (I can do that!) – then the drummers began beating their drums furiously. 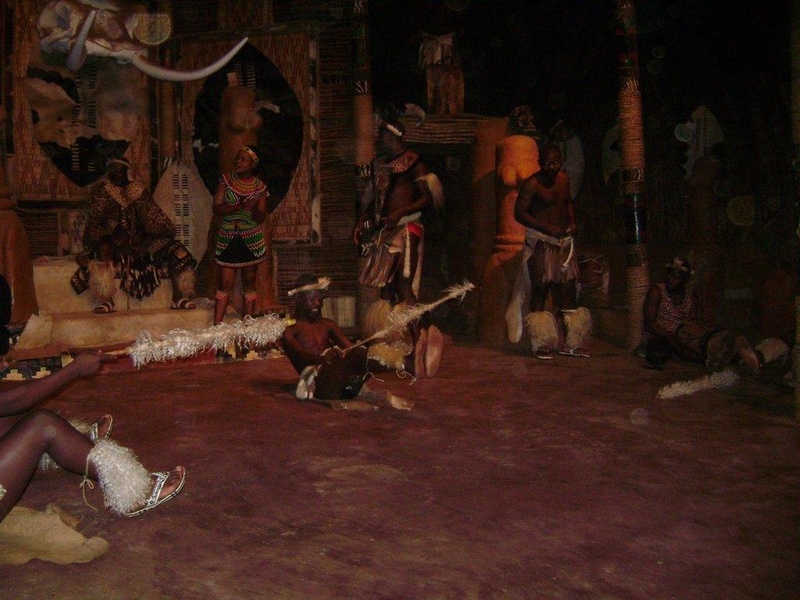 Try as I might, I could not follow what the dancers were doing or remember what I had learnt. When it was over, I thought, thank God, my humiliation is complete. I’ll never see any of these people again, I said aloud as I consoled myself. 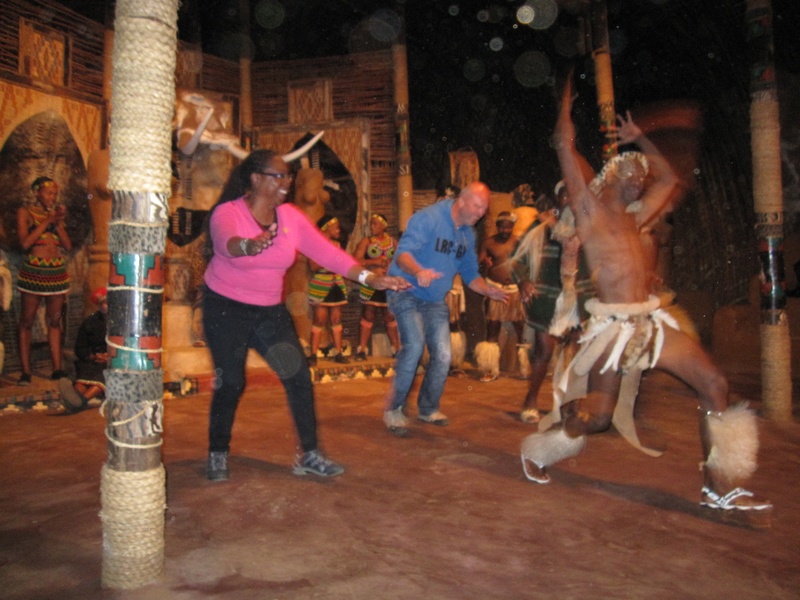 But as I write this, I know, somewhere in Germany or the UK or France or some other country, some individual is sharing their photos of their visit to Shakaland and saying, I have proof: some black people can’t dance! 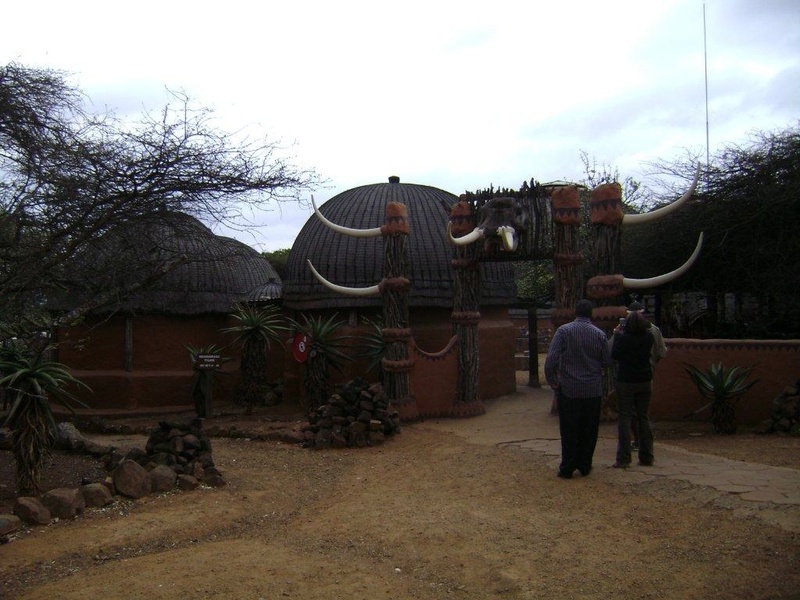 I thought Shakaland would have been touristy and kitschy – it wasn’t. 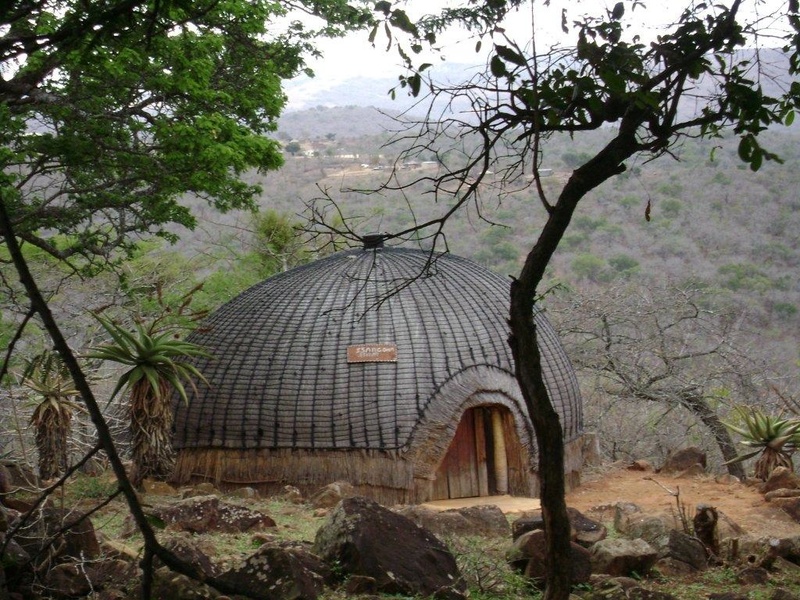 Located in a beautiful and tranquil area of rolling hills overlooking the Phobane Lake, Shakaland is an authentic Zulu kraal with beehive thatched huts built on the set where the movie, Shaka Zulu was filmed, the same land on which the Zulus fought many battles. 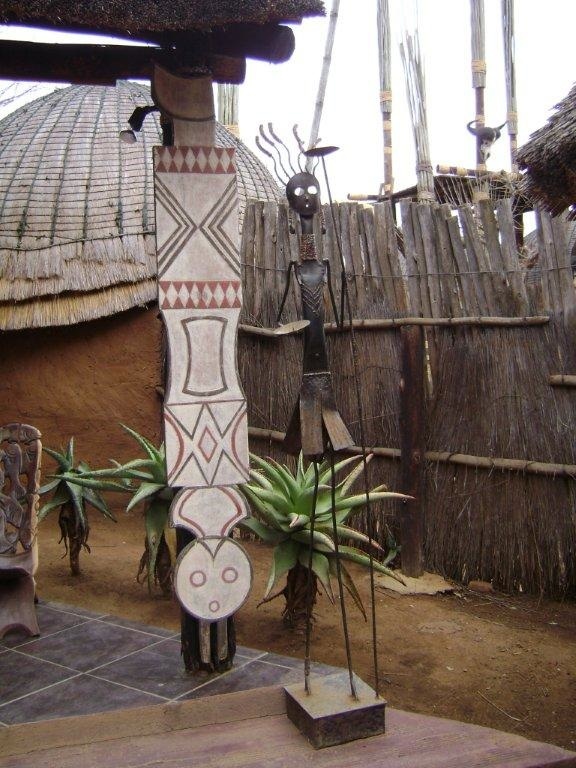 That movie was, I believe, my first introduction to King Shaka, one of Africa’s famous warrior kings and the man credited with uniting the various Nguni people into one large, proud and powerful Zulu nation whose influence can be felt today. I didn’t watch the movie but the name stuck in my memory. 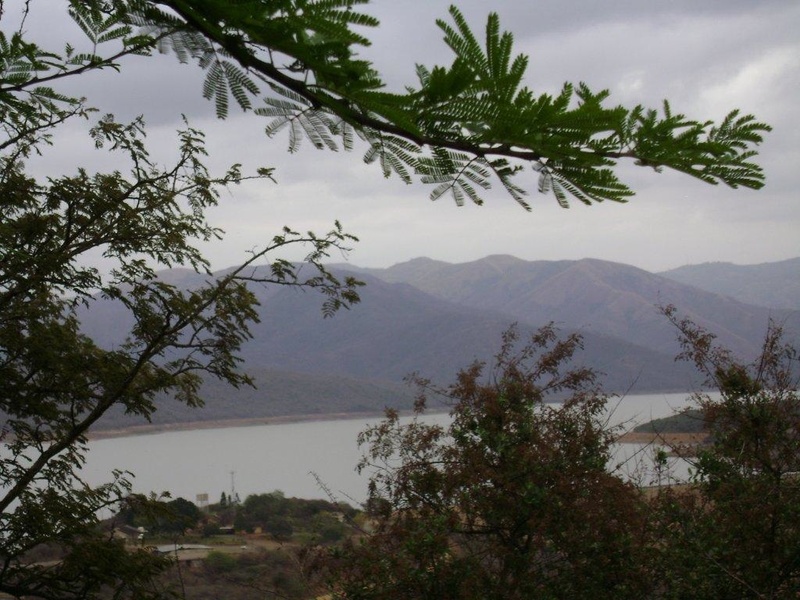 King Shaka of the Zulus, was born in 1787 and ruled for 10 years. During that time, he established himself as a military genius and a statesman. 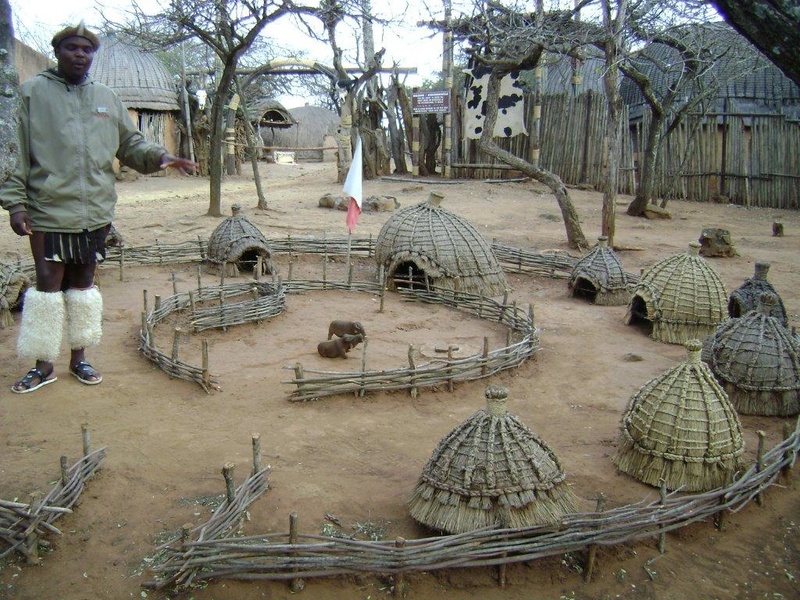 Smagna, our guide, explaining the workings of the kraal. 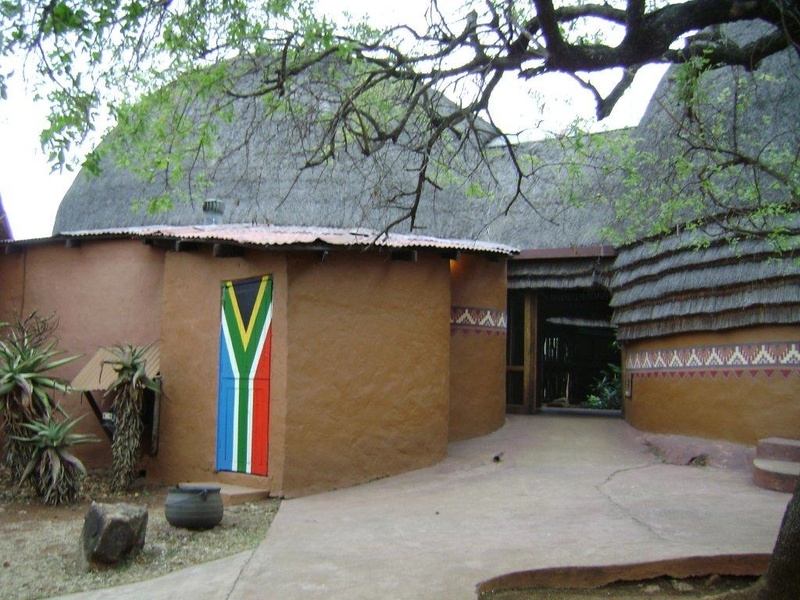 The women’s huts were always on the left, the men on the right so that they could protect the women and children from intruders. For that same reason, men would always walk ahead of the women. 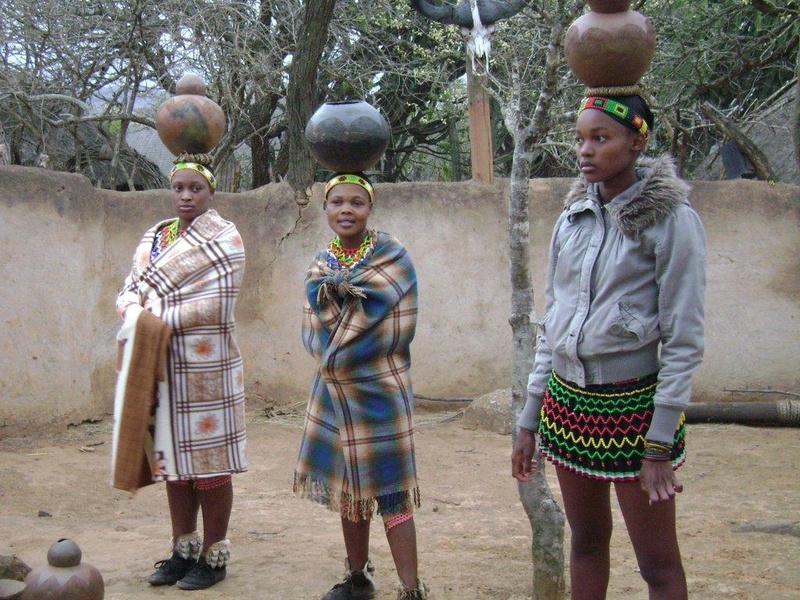 Single Zulu women wearing short beaded skirts. Older women wear clothes that cover their bodies. Like this post? Subscribe to read more.